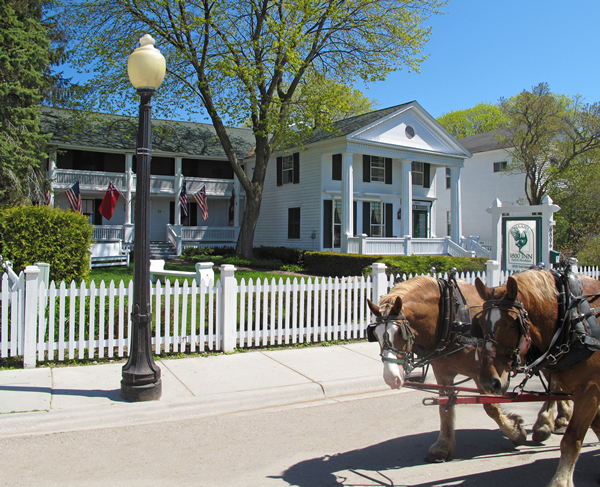 Staying in Mackinac Island Hotels is truly part of your ultimate Island experience. View and easily select your lodging with our hotel map, pricing and guide! 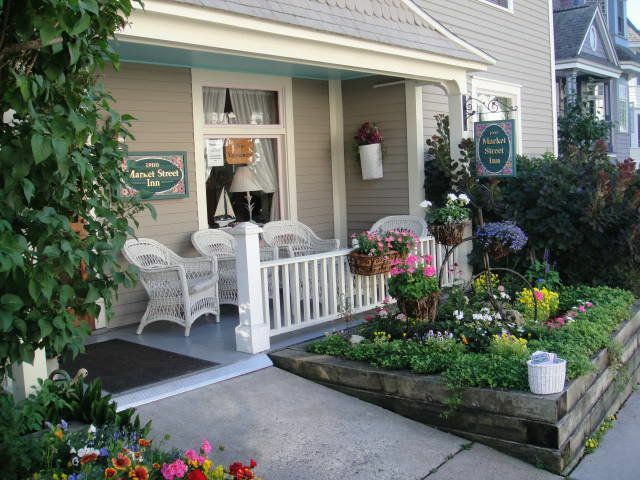 Includes Hotels, Bed and Breakfasts, Inns & more. Hotel owners wish to charm their visitors with exceptional services, amenities, views or sweet treats. You'll feel like royalty when you awake to the sounds of Mackinac Island coming alive. It's pure luxury sleeping in a quaint hotel, slipping downstairs for a delicious breakfast, grabbing your bike and heading out for a peaceful pedal before the first ferry boat arrives. Plus, staying on the island makes us feel so pampered and special! Honestly, before I began researching for Mackinac Island Hotels, I thought all hotels were well over $250 a night. I mean, I was always lead to believe you had to be rich to stay there. I shocked to discover plenty of affordable options under $150 a night! It's happy dance time!! 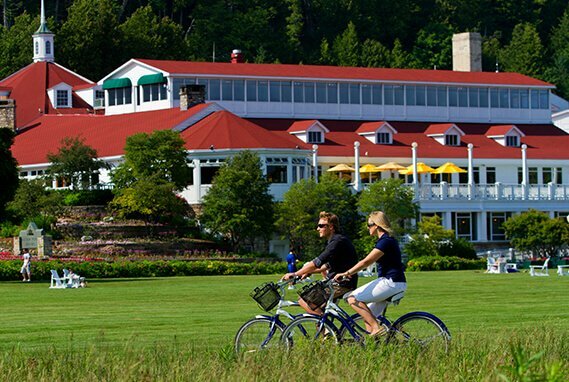 Mackinac Island Hotels are perfect for families, wedding parties, romance, getaways, groups, girls trips and more! 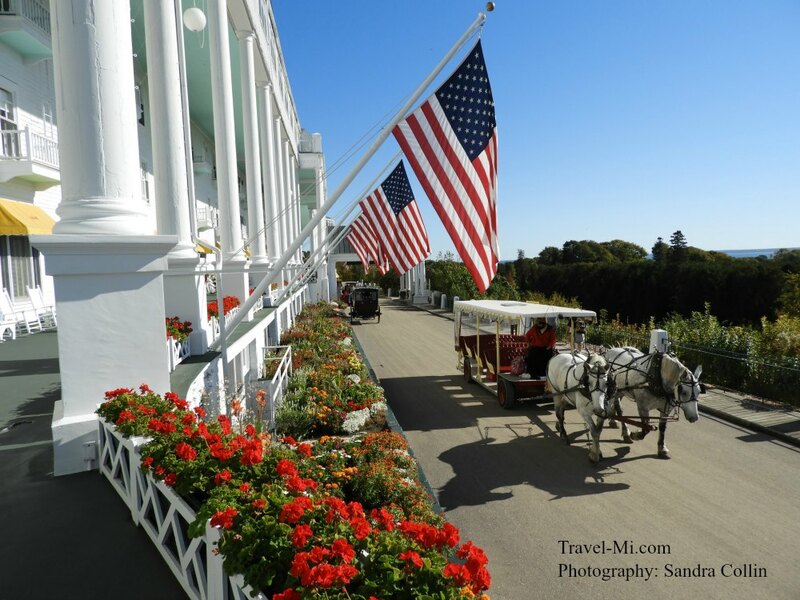 Take a Closer Look at Mackinac Island Hotels! Mackinac Island Hotels have over 1,500 unique lodging rooms! A little known fact is there are no franchise Mackinaw Island hotels on the island. As such, these one-of-a-kind family owned hotels strive to provide you with an exceptional experience every time you visit. 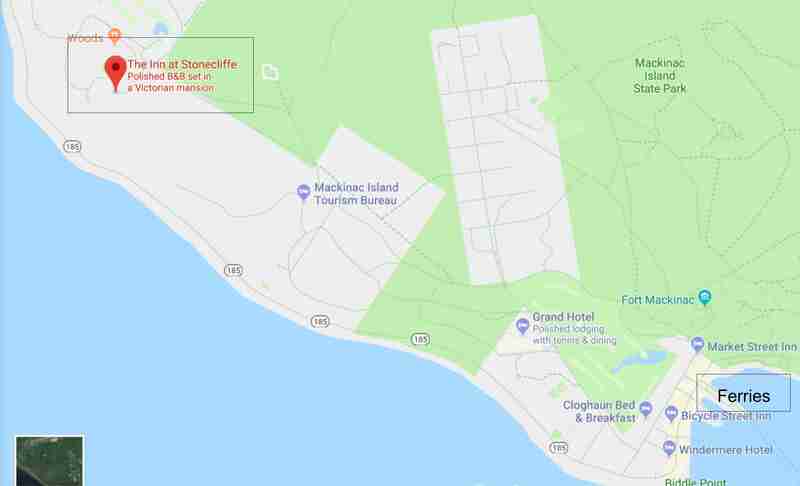 TIP: If you have your heart set on a couple specific Mackinaw Island hotels, it would be wise to book your rooms at least 6 months in advance to improve chances of room availability. Of course, the time of year and day of the week greatly affect the room rates so the same room could be up to $200 more on a different date. 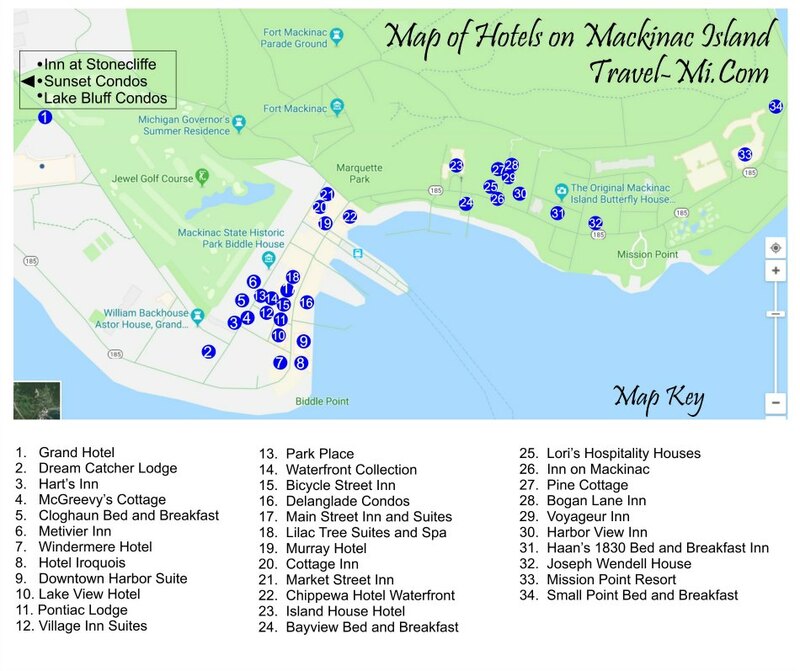 While trying to compare Mackinac Island Hotels in preparation for our next visit, I was unable to easily determine the location of each hotel. So to solve the problem, I created the map below listing a majority of the hotels on the island. They are all assigned a letter that corresponds to the key below. I hope you find the map super helpful! 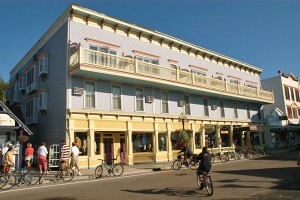 We have organized most if not all of the Mackinac Island Hotels below by the lowest to highest pricing. Price ranges are affected by the time of year, day of the week, demand, room view, room style and amenities. The Mackinac Island Hotels pricing listing below is just for your estimating purposes when researching your lodging options. It is not an offer, guarantee or final rate. Prices may change at any time. 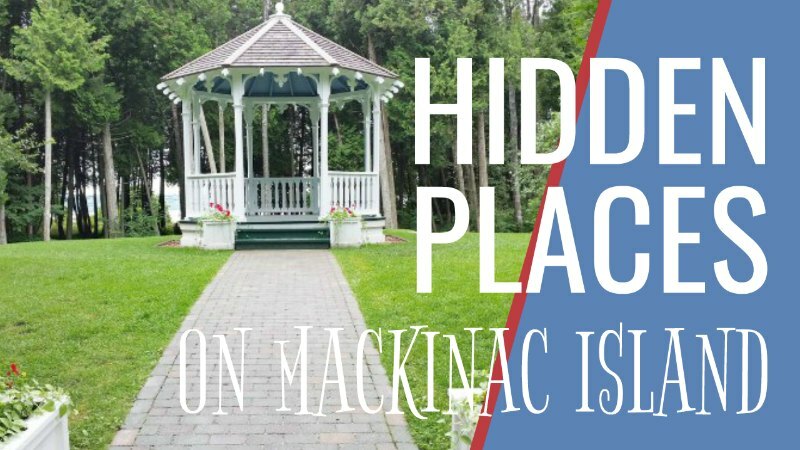 In addition to Mackinac Island Hotels, did you know you can rent homes, cottages and condominiums? Once the private residence of Colonel Preston, one of the last officers at Fort Mackinac and first Mayor of the Island at the turn of the 1900's, Haan's 1830 Inn has been completely restored to share its warmth as a family home. 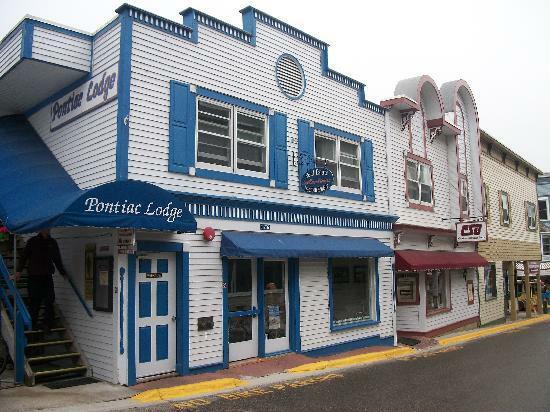 Pontiac Lodge is conveniently located in the heart of downtown Mackinac Island. The Pontiac Lodge has 11 distinct rooms, most with wet bars and some with Jacuzzi tubs. All rooms have private bathrooms. 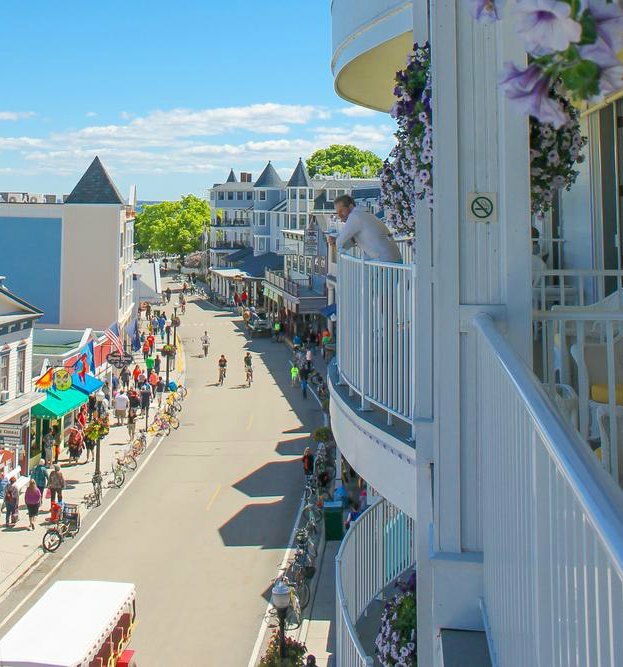 If you are searching for Mackinac Island Hotels with a view, this is it! 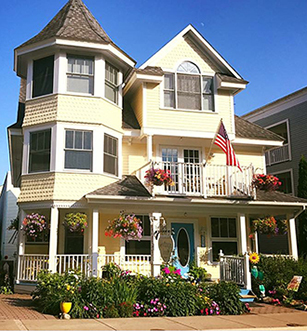 Built over a century ago in 1891, Bay View on Mackinac Island still celebrates her original family heritage in the Grand Victorian style that is truly Mackinac. 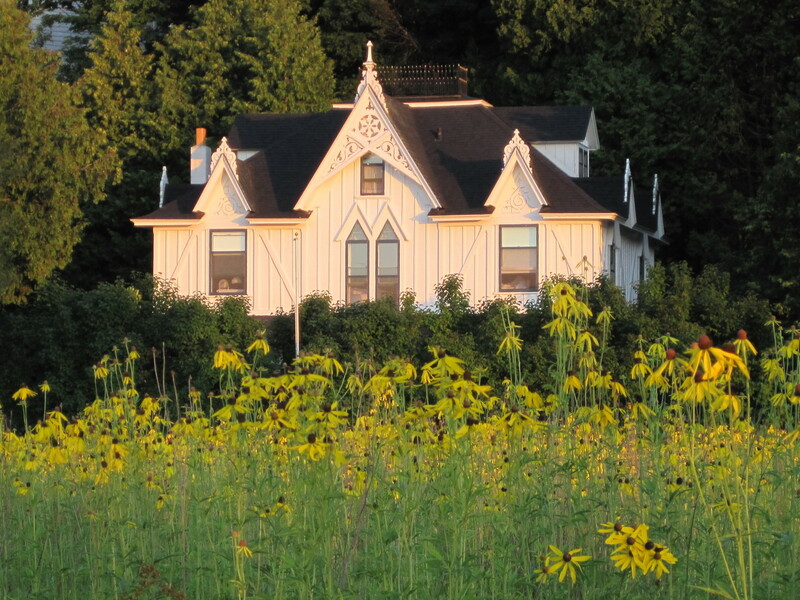 Beautifully positioned on the bay, Bay View is the only B&B of her type and style resting on the water’s edge. Each guest room will embrace you with its own unique seascape, while our second story sundeck boasts an incredible view of the straits of Mackinac. Enjoy a hot freshly prepared breakfast and soothing coffee each morning. 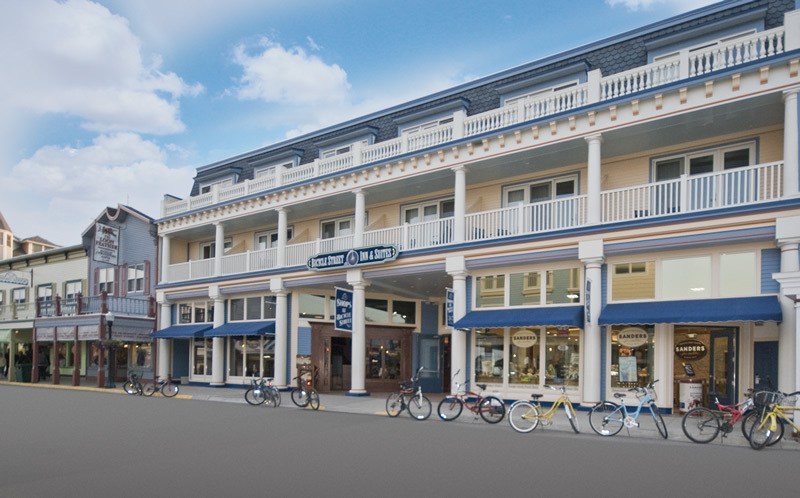 One of the closest hotels to the ferry dock, this hotel is located right in the heart of downtown Mackinac Island. The hotel's old-fashioned atmosphere has been kept intact, while their facilities have been updated to meet the needs of the modern traveler. 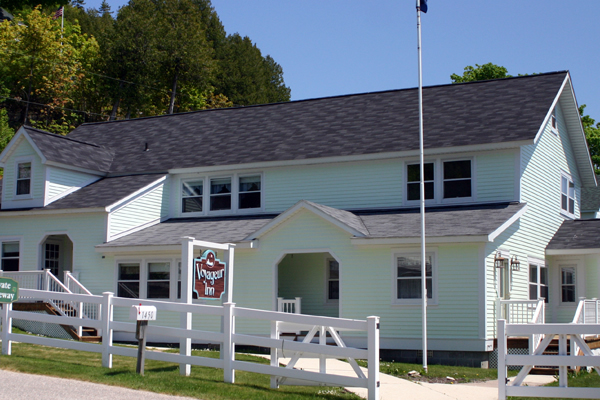 Pine Cottage was built in 1870 and was one of the first Mackinac Island Hotels on the Island! 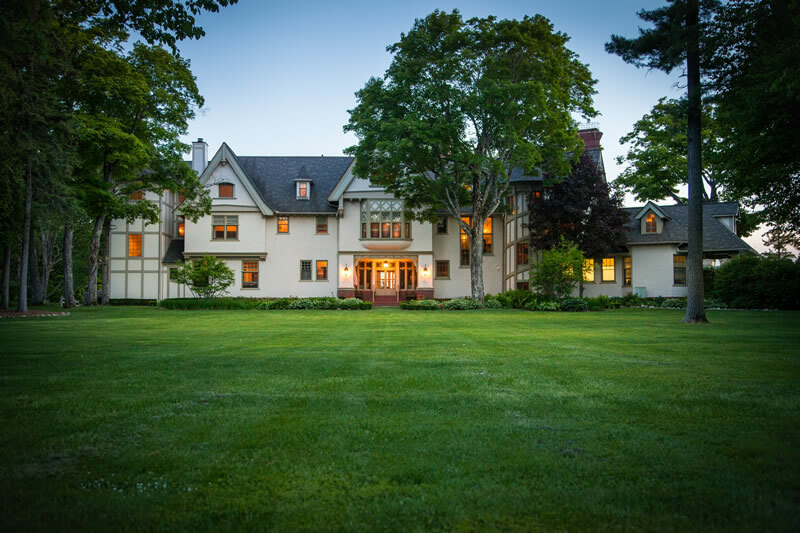 Did you know the baseball player, Ty Cobb, stayed in Pine Cottage for his honeymoon? Ernest Hemingway is known to have stayed as well. If you love rustic Victorian ambiance, you will be delighted with the cottage's steam radiators and antique clawfoot tubs. Each room is uniquely different offering one double bed or two double beds, with private or shared baths. Plus there's air conditioning! There is also a suite that can accommodate up to six people with two queen beds, a living room with a sleeper sofa and small kitchen. This house was built in the mid-1850s in the midst of Mackinac Island's fishing industry. The industry was developed by Irish families who came to the area as a result of the potato famine. In 1957 the owners installed a new foundation, heating system and bathrooms. It's renovated and ready for you and your family! Includes continental breakfast. Baths are shared between two rooms. You can't get any closer to the fun in Downtown Mackinac Island and the Ferry docks than this! Awesome view of the water also! The Chippewa Hotel features two-room suites with balconies, economical main street rooms, Jacuzzi suites, and spa amenities. Hart’s has a warm and inviting atmosphere. 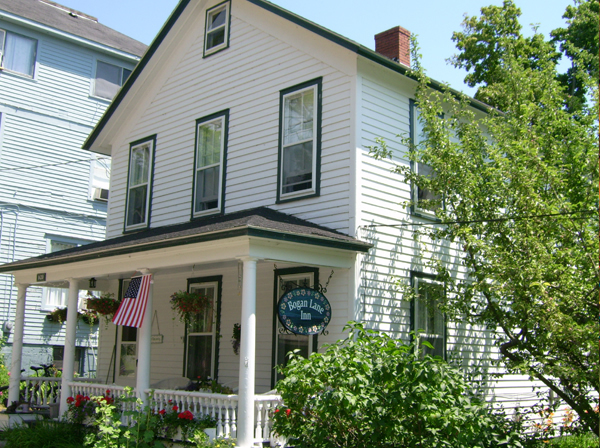 This inn is full of history and offers complete comfort with newly renovated amenities. 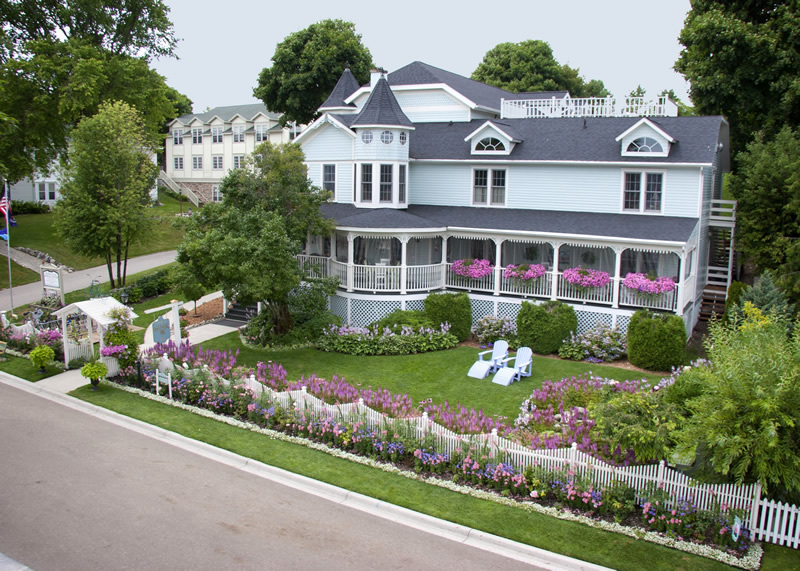 Cottage Inn of Mackinac Island is a beautiful Inn built with Victorian Style and Charm. 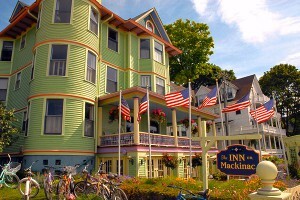 The Inn was built in 2001, and the owners are proud to be the most modern Inn on Mackinac Island! The rooms include air conditioning and private bathrooms. Market Street Inn feels so comfortable and relaxing. You will feel so special being served breakfast individually in the parlor, courtyard, or your guest room. The owners are very welcoming and ready to make your stay memorable. This four bedroom, private bath home is fantastically located right on Main Street. What's cool is you can rent the entire house by the night or week if you wish. Or if you only need a room or two it's the perfect full service Bed and Breakfast. Village Inn Suites are located downtown above Cawthorne's Village Inn Restaurant. 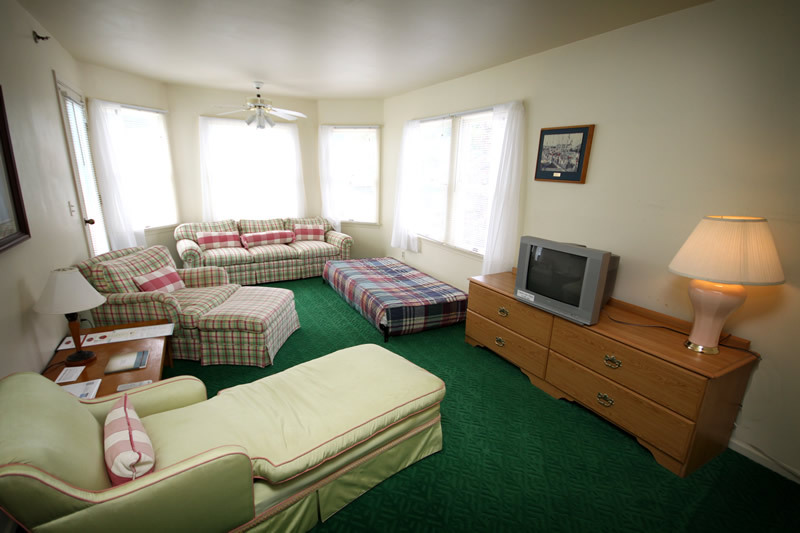 The location is convenient and the spacious rooms are perfect for families or groups of friends. 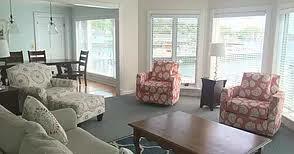 These one and two-bedroom suites offer full kitchens, living rooms with cable TV, phone/internet and private bedrooms. They are spacious enough to sleep 2 to 6 people. Cloghaun is one of the oldest Victorian homes on the Island! Thomas and Bridget Donnelly completed Cloghaun in 1884. You will be in awe of their beautiful floral landscaping and long front porch. 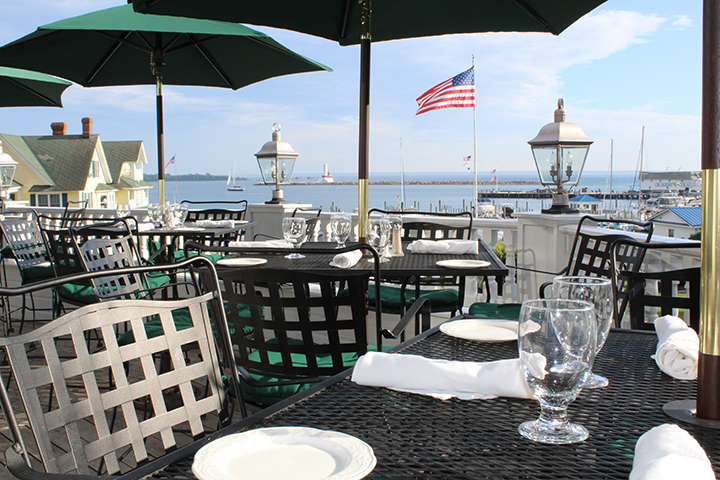 A beautiful choice for Mackinac Island Hotels! With three dining choices, including the signature experience of Mission Point Resort, Chianti Italian Restaurant, your culinary wishes will be met. Play the 18-hole greens and let your kids enjoy a variety of fun amenities. Small Point Bed and Breakfast has such a relaxing, go-at-your-own pace feeling. Simply sitting on their porch eases away your stress and worries. You tend to forget about your responsibilities back at home and life just slows down. Relax as you watch the freighters glide silently by or create a drawing of the beautiful landscape. This beautiful inn offer awesome perks with the room rates: hot breakfast buffet, air conditioned rooms, sun deck and spa-pool, private baths, afternoon snack and homemade bedtime cookies. They also have an espresso bar so you can relax on their wrap around front porch and watch the carriages pass by. This inn is absolutely stunning! The looooong porch will entice you spend the evening reading or enjoying a cool beverage. It's conveniently located on Market Street in the downtown historic district. The rooms have private baths and air conditioning. Be sure to enjoy Metivier Inn's delicious HOT breakfast buffet and complimentary afternoon coffee and sweets. Sounds dreamy! Comprised of four distinct buildings, the hotel offers a historic feel, exceptional views and appealing accommodations to make your vacation something to remember. 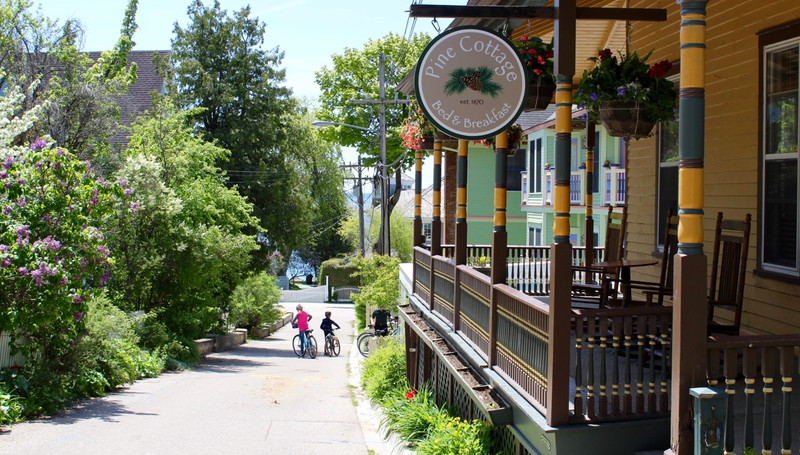 If you’re looking for a room that’s charming and quaint, consider the Inn’s Cottage Rooms, which deliver a stunning view of either the Island’s harbor or the surrounding grounds. The expansive grounds offer stunning wedding ceremony locations. 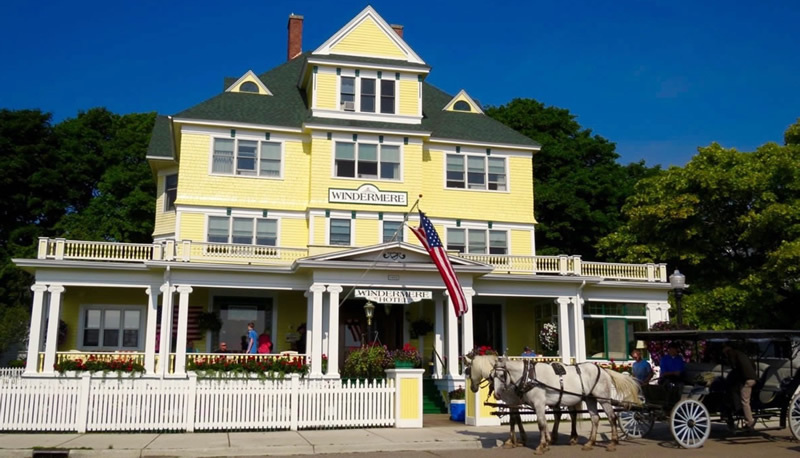 This hotel features six types of accommodations, from Standard to Presidential, so you can easily tailor your stay on Mackinac Island. They offer a variety of packages with some including ferry tickets and fun options on the island. 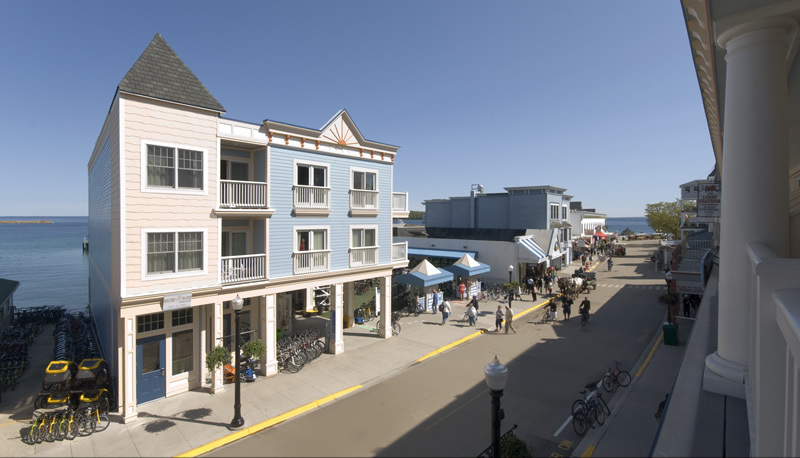 Lake View Hotel is located right across the street from the ferry docks! 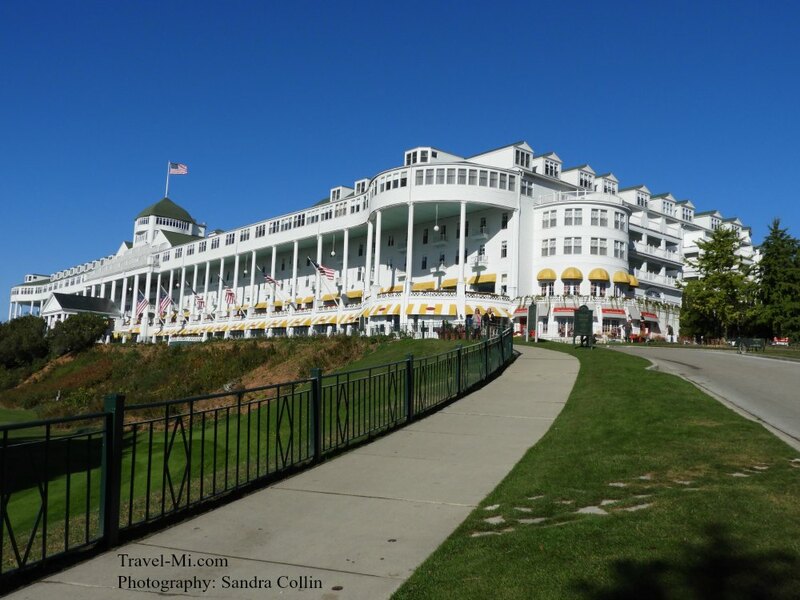 Definitely on the list for great Mackinac Island Hotels! The crowning jewel for this hotel is it's amazing location (right downtown!) and balconies...I'm a sucker for balconies. I can sit on them for hours. A variety of spacious suites are available, including master suites with large balconies, two bedroom suites with three queen beds, and Jacuzzi suites. Lots of great options! 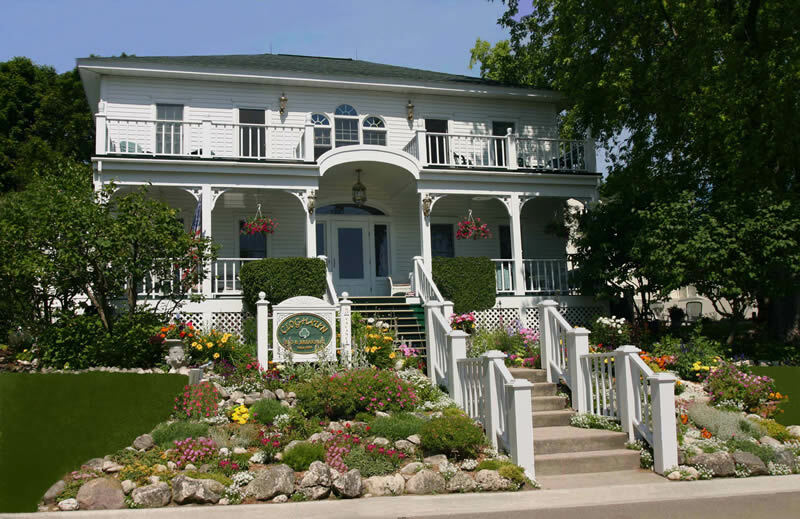 This beautiful inn is located on the west bluff of Mackinac island so it is not on the map above. If your ideal day includes exploring the island and enjoying the downtown area's hustle and bustle but prefer a more secluded, peaceful hotel, this is the place for you. Park place offers three condos with full amenities. Full kitchens, private baths, air conditioning, oh my! This hotel is pet friendly and very conveniently located!! Oh my word, this place is so charming! I adore the furnishings and the front porch is divine! Sitting on the porch in the evenings watching the horse-drawn carriages pass sounds like an ideal evening. Each of the 26 room have a private bath. There are no tv's or phones so you can relax in peace! Don't worry, the Windermere Hotel retains an atmosphere of elegance while providing their guests the comfort and convenience of modern amenities. 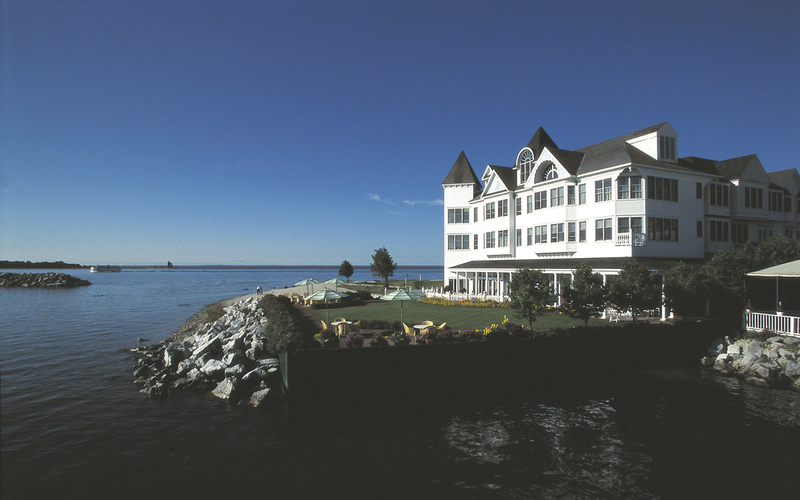 The hotel's beautiful rooms enjoy a view of Mackinac Island’s harbor and the waters of the Straits of Mackinac. This is one of Mackinac Island's newest hotels. It is conveniently located on Main Street in the center of downtown. 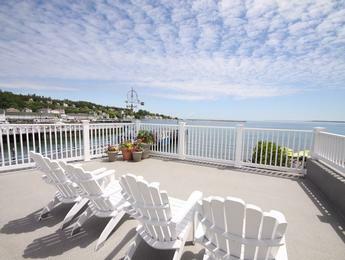 Some rooms have walkout balconies and beautiful views of Main Street and the Straits of Mackinac. So many cool things about this hotel: On-site bicycle rental, free luggage transfers and evening bon-fires! Their room styles range from the simple, yet elegant, traditional queen and king rooms to spacious, two-bedroom, two-bathroom suites designed to house up to eight guests. There are also three wedding ceremony locations making Island House a perfect wedding destination. 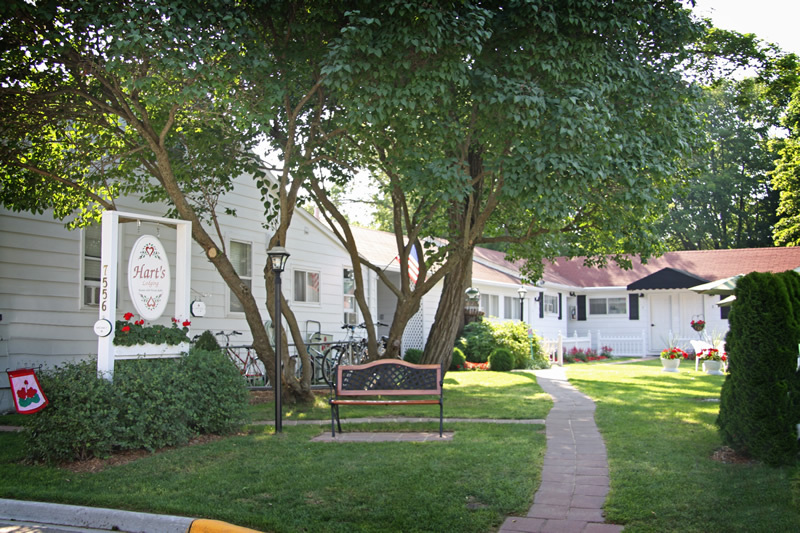 This small country inn is located just three blocks from downtown. The home has a full kitchen and washer and dryer. Perfect for extended stays on Mackinac Island! 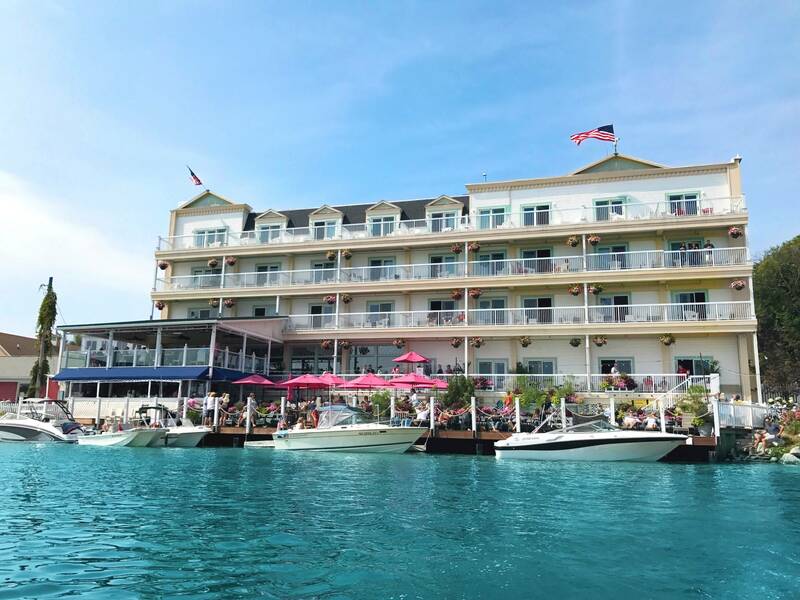 This hotel is located right on the water's edge in the heart of downtown Mackinac Island. The Waterfront Collection is a new hotel featuring thirteen balcony rooms with Main Street and waterfront views of the sparkling harbor. Rooms are styled in a Contemporary manner and are furnished with fridge, microwave, coffeemaker, walk-in glass shower, 42” flat panel TV and more. Continental breakfast is included. Downtown Harbor Suites and Penthouse very modern and updated rooms. The hotel is located on the waterfront above the Star Line Ferry Docks. These suites overlook the busy harbor. Enjoy gorgeous views of Round Island from your deck. The spacious Penthouse suite has large windows facing the waterfront and a private, rooftop terrace allowing you to enjoy unbelievable views! This hotel is seriously charming. I just love that it has a private beach for strolling in the evenings or taking in some sun. 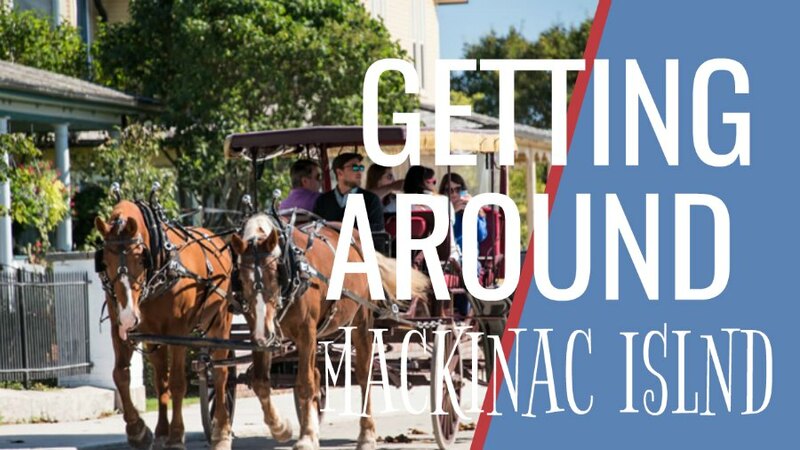 Downtown Mackinac is only one block away! Fine dining and cocktails can be enjoyed in their waterfront Carriage House dining room or al fresco on the veranda. Check out their nightly entertainment at the piano bar. This resort is romantic, magical, timeless and unforgettable. 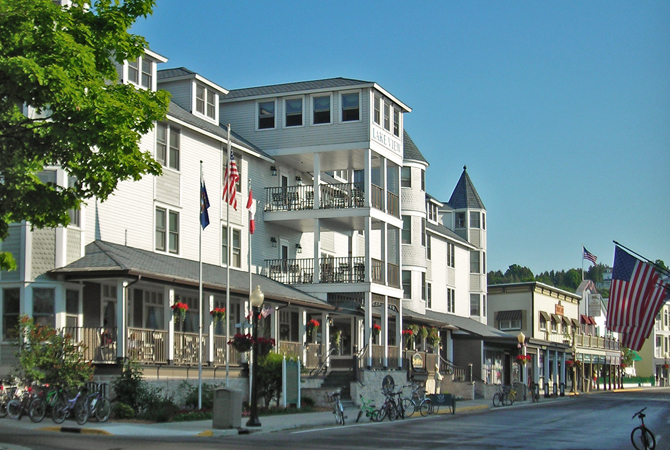 It's the most visited and iconic of all the Mackinac Island Hotels located on Mackinac Island. Be a part of history! The Grand Hotel was voted by Travel+Leisure Family magazine’s best resorts for families and kids. They have numerous dining options. Please note, there is a dress code after 6:00 p.m. The porter will take your luggage and direct you to your hotel. Upon arrival at the hotel, you will need to present your luggage claim stubs that you received at the ferry dock to the desk clerk at check-in. Your luggage will then be delivered to your room. For your return trip back to the mainland, follow the in-room instructions. Your luggage will be tagged and transferred from your room to a secure location on the appropriate mainland dock. A round-trip luggage fee will be added per person. You will need to utilize a horse-drawn taxi to take you and your luggage to your hotel. 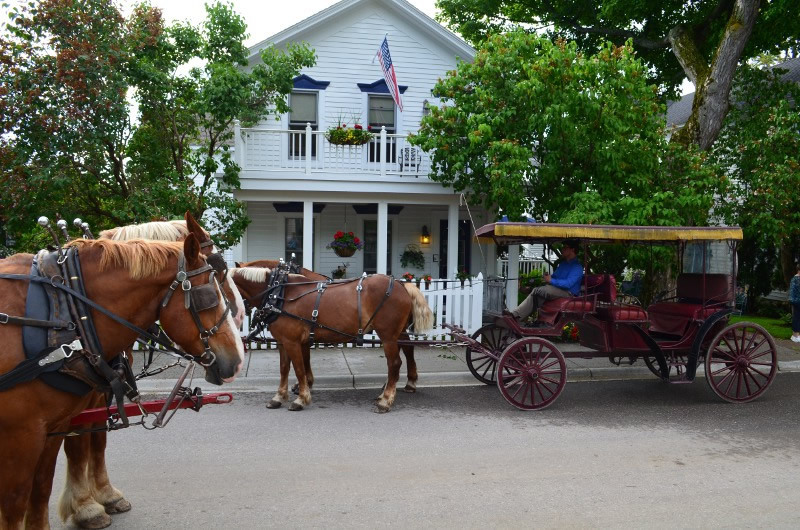 NOTE: Transportation to and from Mackinac Island Hotels are generally not included in your nightly hotel rate. You may walk, bike or take a horse-drawn taxi to your hotel. See Mackinac Island Transportation for more information. You may want to contact your hotel prior to your trip via email or phone to clarify their luggage transfer logistics. Plan Ahead: Your luggage may take approx. two hours to arrive at your hotel or to arrive at the mainland dock at the end of your stay. Bring a separate change of clothing if you are staying at a hotel requiring an evening dress code if arriving after 6:00 p.m.